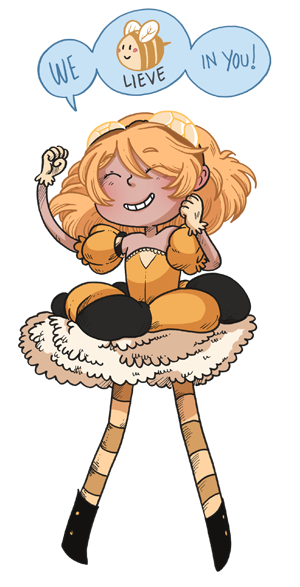 Hiveworks Comics is a creator-owned comics and graphic novel publisher focused on free to read webcomics. We publish comics like SMBC, Stand Still Stay Silent, Sister Claire and Namesake. Graphic novel-style original comics produced and edited by Hiveworks Comics. Comics appropriate for all ages. Ideal for young readers, school classes, and the young at heart. Completed webcomics, anthology collections, and comics on indefinite hiatus. 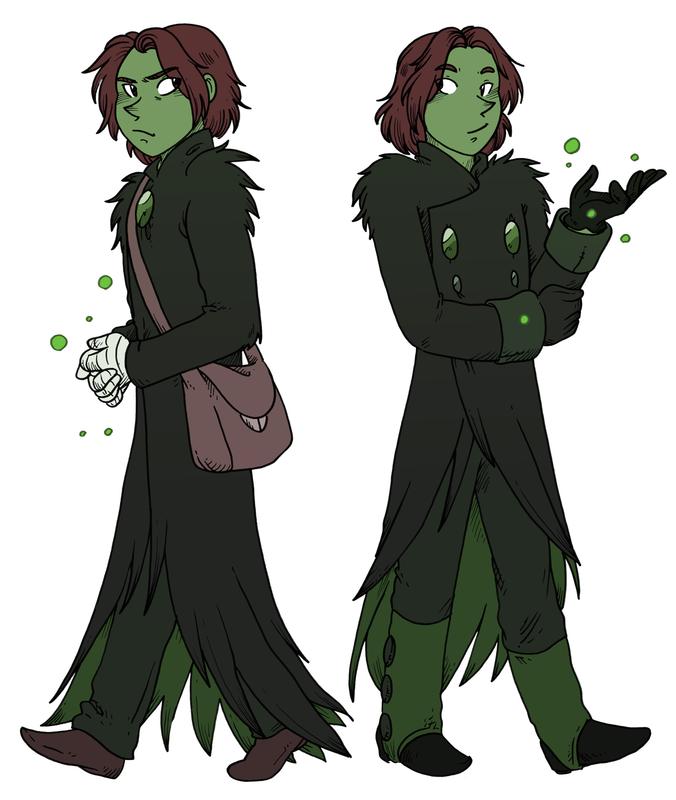 Hiveworks is currently looking for new webcomics. We’re excited by your interest in joining our team! There are two different avenues of submission. New, unpublished, and existing comics with either less than 50 pages of updates or less than a year of posting must submit a new comic submission. Creators with existing webcomics may apply for an interview, or choose to submit as a new comic. As of May 2017, we’re moving to a rolling submission system. We’re opening submissions and keeping them open, rather than running a two month blitz. Hiveworks Comics takes submission for webcomics made by individuals and small teams. If you’re a company looking to partner with Hiveworks to work on your digital division, or to develop a comic with our editorial team, please email contact@thehiveworks.com. We only publish creator owned projects. Your submission should only contain original content that you own and will retain all the ownership rights to. Do not submit work that contains existing trademarked characters from other publishers or media (this applies to characters like Batman or Scott Pilgrim, and not to public domain figures like Sherlock Holmes or Frankenstein.) If your comic does occasionally feature trademarked characters, the creator must ensure that their inclusion of the characters falls clearly under the banner of fair use (see the explanation at copyright.gov). A one-page cover letter introducing you or your team, your previous work, and the project you’re proposing. This should include your contact information. A summary or outline of the story and its main themes. We need to know the entire story as you have it planned out - save the secrets and twists for your readers! An approximate production timeline - planned length of the comic, comic launch date and description of the comic's history so far, where each “volume” of the comic will end if you intend to print. At least three complete sequential pages of the comic. These pages will showcase the style of the comic. Pages can be from the beginning of the story or "test" pages from later in the narrative. Script or Thumbnails - An example of the comic script or thumbnails you use when writing the comic. At least a 250 word script or 3 "thumbnailed" pages. Please make the pitch document easy to read and access. PDF files are our preferred format. Send your full pitch document to submissions@thehiveworks.com and include your project’s title. 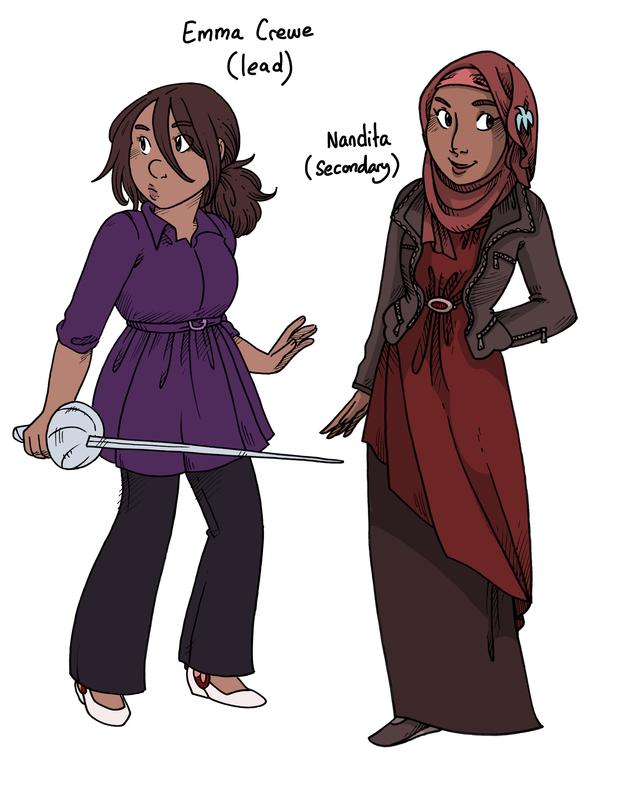 Since we've gotten a few questions about what we're looking for in a character design, Isa has shared two examples below from her comic Namesake. We should get a sense for the character in the artist’s style, and a glimpse at their personality from their designs. Comic artists and writers with existing (defined above) and ongoing webcomic projects may pitch to be published by Hiveworks at any time with a simpler pitch packet. Your cover letter is your submission, and should include: a short team introduction, your contact information, a synopsis of the comic, your original launch date and current page count, any print publishing plans or history, and traffic statistics or sales information for your comic’s current website or service. Send your cover letter to submissions@thehiveworks.com and include your project's title. Are there any restrictions for international artists (outside US)? Several of our artists are located in Europe, Canada and South America. Location is not an issue. Are there any limitations on the language of submitted works? Although the location and native language of the artist does not influence our selection process, the submitted comics must be in English. Comics may be bilingual; we already have a few that are available in two languages (such as Boumeries - comics.boumerie.com). However, bilingual works need to prioritize the English version, and the translation cannot be fan-made, since we can't ensure updates or quality control with fan translations. Translations need to be made by the creator or a professional overseen by the creator. I’m underage or on a team with someone that is underage (under 18 years old). Does that mean I can’t submit to Hiveworks? All creators and team members need to be of legal age (in the United States or in their country of residence, whichever is higher). As an added note, we encourage applicants who are still in school to consider their class workload when they plan their comic and decide on their update schedule. If you are in university, mention this in your production timeline so we know you’ve taken your workload into account. Speaking of production timelines – what are those? A production timeline is basically project steps pinned on a timeline: the project’s history, the steps that will go into making your pages, how long you want the story to be, when you wish to produce a printed collection, etc. I work under a pseudonym/nickname/preferred name for personal reasons. I was wondering if I could pitch to you using that name? Many artists work under pseudonyms, pen names or preferred names. However, we will require legal names for our publishing agreements and at times to verify identity. Legal names are kept confidential when requested, so let us know your situation. I’ve recently signed a book publishing deal with [Publisher]. Does this disqualify me from being accepted? Hiveworks is a publisher, so the answer is generally yes. However, if you know you have retained the digital rights to your comic or your publisher would like to collaborate with us on digital publishing, let us know. Will you be contacting refused submissions? What is the interview process when people are selected? Creators may be invited to a phone or video chat interview prior to acceptance. Refused pitches may not be responded to; if you do not receive a response within 6 weeks, your comic has not been accepted. Comics may also not be initially accepted, but set aside and contacted during a different production period. Please note that, as always, we have a limited amount of spots available, and many applicants. Don’t be discouraged by a first refusal! How often is a creator expected to post new pages of their comic? We encourage folks to update twice per week if they can, and 2-3 updates per week is ideal for us to work our magic on new launches. Weekly page quantity aside, a stable update schedule is essential. Our comics update on various schedules, from once per week to every day. Your update schedule will be taken into account when drafting your agreement, if accepted. I was wondering what format the script had to be in. Do you require the classic movie script type or are other formats allowed as long as the story is conveyed and it makes sense? Send us your script examples or thumbnail examples in the format you intend to work in. Does my comic need its own website already to be considered? We care more about the content of your comic than the website it’s on when you submit. As your publisher, if your submission is accepted you’ll get a brand new site designed and hosted by our team. As a creator, I am submitting to Hiveworks the attached pitch for consideration. This comic pitch –composed of personal information, scripts, character designs and page design (referred to as "The Material") belongs solely to me. By emailing a submission to Hiveworks, I agree to the terms laid out below. I warrant that I am the sole owner and author of the above described material and that I have the full right and authorization to submit the material to Hiveworks. I agree that I am allowing Hiveworks’ Team to view the submitted material. Hiveworks’ Team is not liable if similarities are found between this submitted material and materials submitted by other creators. I understand that Hiveworks has access to and/or may be currently publishing or is planning to publish comics featuring ideas, themes, formats and/or other materials which may be similar to the theme, plot, idea, format or other element of the material now being submitted by me. I agree that I will not be entitled to any compensation by reason of the use by Hiveworks of similar material. Proof of plagiarism can only incriminate the creator of the material, not Hiveworks. I agree that Hiveworks has no obligation to me with respect to the submitted material except as may later be set forth in a fully executed published agreement between myself and Hiveworks. I understand that Hiveworks will seek to evaluate all submitted materials objectively and professionally, to the best of their abilities. I understand that the Hiveworks Team has no obligation to share their evaluation criteria, or to provide critique, but may do so if the information is requested and time allows. I understand that the creators of accepted submissions will be contacted via email. Hiveworks Comics And Hivemill are ©2011-2019, Hiveworks LLC.